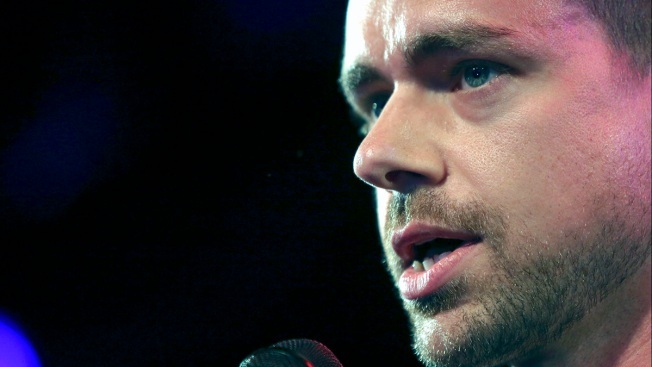 FILE - In this April 24, 2013, file photo, Twitter co-founder and CEO Jack Dorsey speaks at a campaign fundraiser in New York. In a brief blog post that does not mention any specific Twitter users by name, the company said it was responding to recent discussion surrounding the issue of world leaders and political figures using its platform. President Donald Trump has built a huge following on the platform, which he has used for years to express opinions on a wide variety of subjects. He most recently stirred widespread controversy and fear with a taunting Tweet directed at the North Korean leader Kim Jong Un that appeared to threaten a possible nuclear attack. On Tuesday, the U.S. president Tweeted about his “nuclear button,” saying his is “a much bigger & more powerful one than his, and my Button works!” While there is no such thing as a nuclear button in the U.S., the provocative jab stoked fear in many across the country that the president’s Twitter use was pushing the country toward an international conflict. "Blocking a world leader from Twitter or removing their controversial Tweets, would hide important information people should be able to see and debate," the company's statement said. "It would also not silence that leader, but it would certainly hamper necessary discussion around their words and actions." It went on to assure readers that "no one person's account drives Twitter's growth, or influences these decisions. We work hard to remain unbiased with the public interest in mind."